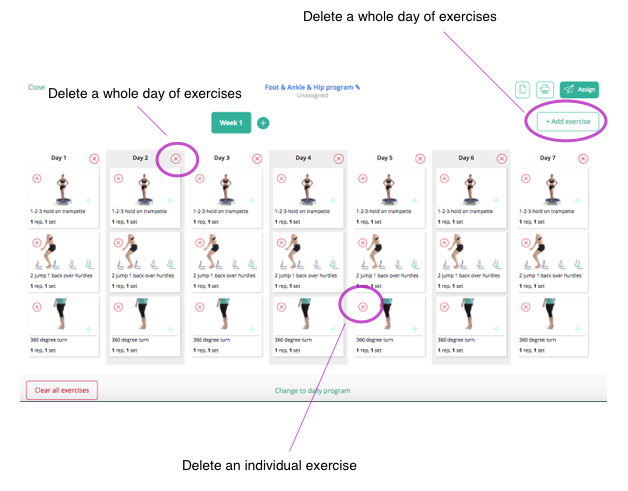 Should you wish to prescribe a more comprehensive exercise program to your patient, you may wish to use the weekly program designer. 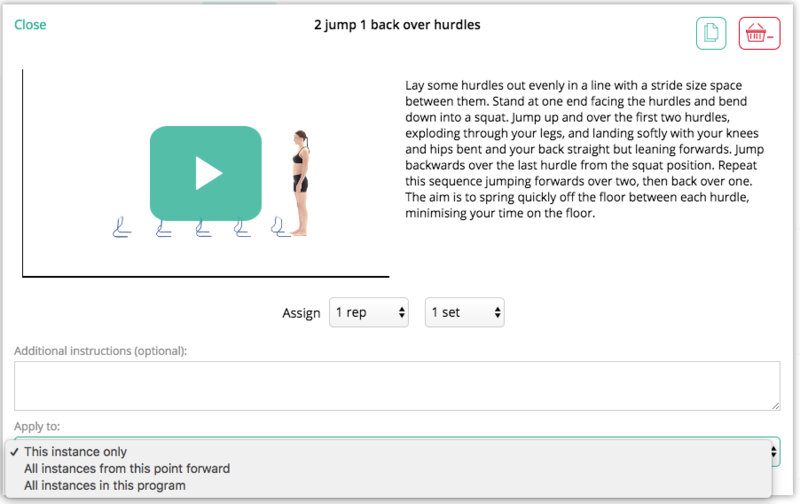 After selecting exercise content, click the basket to view the program designer. This will automatically open up in a "Daily program" editor window. Click the "Change to weekly program" at the bottom of the screen. Clicking on an individual exercise to preview the content allows the same functions to that of the daily program window, with the addition of parameter application box. This instance only: Applies these parameters to this one exercise you have opened on this one day. All instances from this point forward: Applies these parameters to this one exercise you have opened on this day, and every day this exercise appears here onwards. All instances in this program: Applies these parameters to this one exercise you have opened and any other time this exercise appears in this program, whether it is past days or future days.